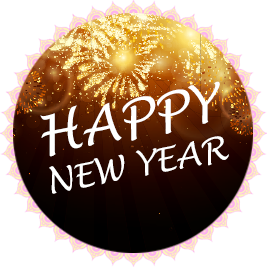 New Year marks the beginning of a fresh period when a new calendar year begins. Anything new generally remains as a matter of hope and celebration, and time is regarded as new too. There were many cultures in the world, which were following different calendars from very ancient times and some of them are still doing the same. However, with the English language gaining importance over time, the calendar that is followed by the English-speaking nations gained prominence over other calendars. Hence, the New Year in accordance with this calendar itself came to be referred to as the English New Year. Even though they are generally referred to as English Calendar and English New Year, the real name of the calendar that is followed is only the Gregorian calendar. This is the calendar, which is used very widely all over the world today. This calendar year begins with January and the New Year falls on the first day of the month, that is, on January 1. This day is observed as the New Year Day in a great majority of countries of the world. The same system was also observed in the ancient Roman and Julian calendars that were followed earlier to the present one. Calendars have interesting histories of their own. Of the many calendars that were in use, quite a few of them counted the years numerically, as in the case of the Gregorian calendar, while some of them called them by individual names. Tamil calendar has a cycle of 60 years, where each of the years is called by a unique name, and this can be taken as an example for the name-year calendar. In addition, during the middle age, different regions of Europe were beginning the New Year on different dates, like on the 1st of March, 25th of March, Easter, 1st of September and 25th of December. It was only at the end of 16th century AD that the Gregorian system was fully adopted, and there was unanimity in fixing January 1 as the New Year’s Day. While calendars are specific to regions and languages that are still prevalent in many parts of the world, Gregorian calendar has been adopted as the official calendar throughout the world and the New Year as per that calendar has assumed the pre-eminent position as the New Year or the English New Year. This starts on 1st of January, and that is observed as the New Year Day. It may be interesting to note that January 1 had remained a holiday in earlier times too, not because it was the New Year’s Day, but due to its religious importance. It happened to be the eighth day after the birth of Jesus Christ on 25th of December, and on that day, a religious feast was said to have been held as per the custom. English New Year’s Day observed on January 1 can be regarded as the most widely celebrated event all over the world. It is also believed to be the public holiday declared in most parts of the world. It marks a new beginning and remains as an occasion for joyous celebration. At many places, people burst crackers and do fireworks at the stroke of midnight when the New Year dawns. They also spend the day meeting friends and relatives, exchanging greetings, gifts, and pleasantries with them, visiting places of interest and enjoying sumptuous feasts. Many also visit temples and places of worship and seek the blessings of the Almighty for their welfare and success in the New Year ahead.